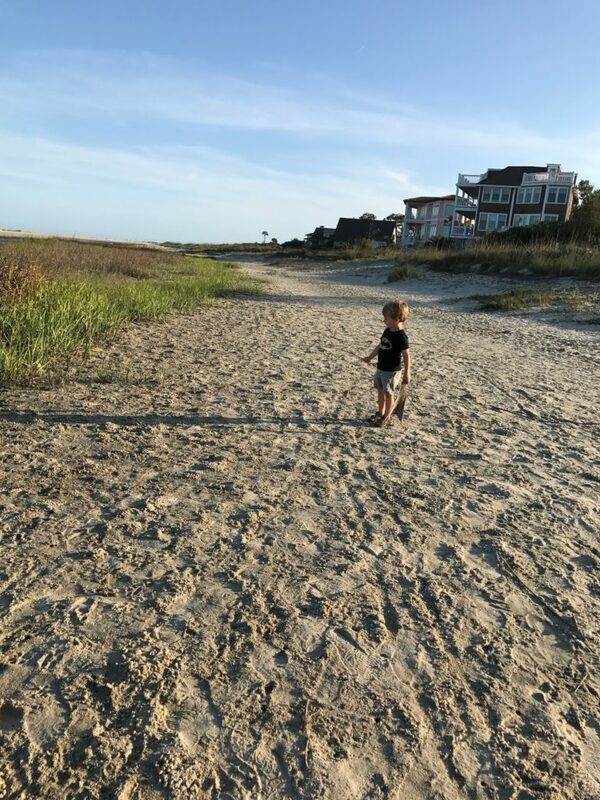 I recently went on a week-long trip to the Georgia coast with my middle son, daughter-in-law, and three of my grandchildren. It’s hard to get a picture of the vastness of the sand and water. 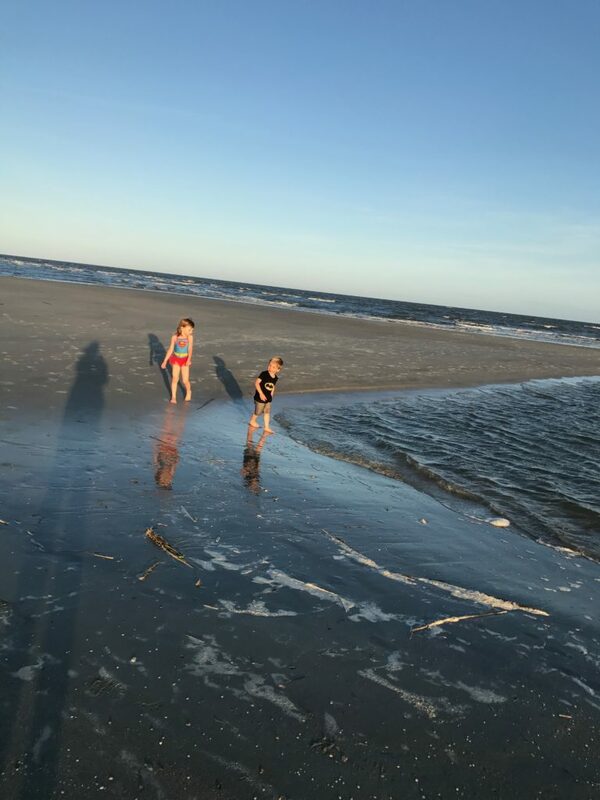 We stayed on East Beach on St. Simon’s Island, where more and more sand is washing from the other side of the island and adding to this side. In this particular area there is quite a difference between high and low tide. 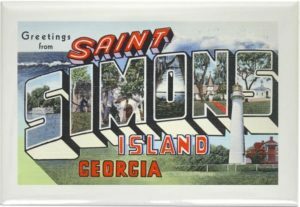 We stayed in a lovely rental home a block from the beach, but since this was my first trip to Saint Simons Island, I discovered once we had walked to the “beach,” I still had a way to go to get to the water’s edge. We went through the low trees and brush on a sandy path, across a tidal stream, dodging tiny crabs, and across small dunes before finally reaching the water. 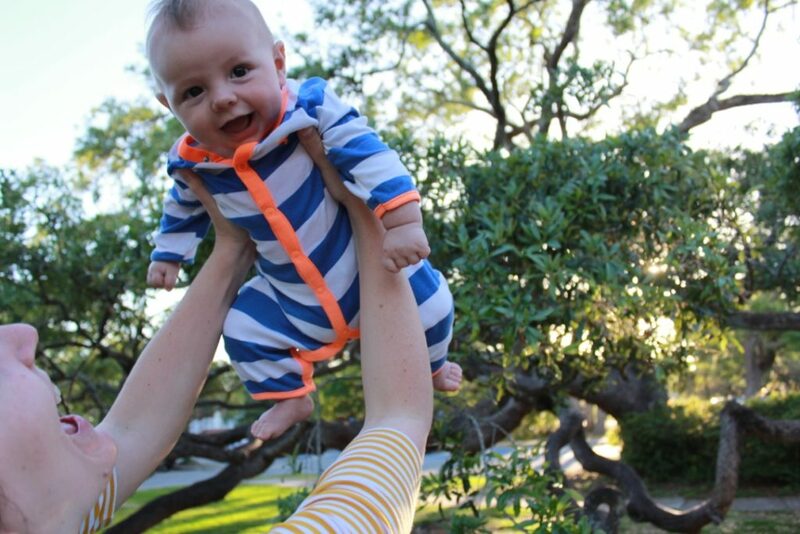 We had two young children, a baby, and all their beach needs. It was more of a hike than I’d expected. The amount of sand on East Beach is growing fast, washing in from nearby Sea Island. 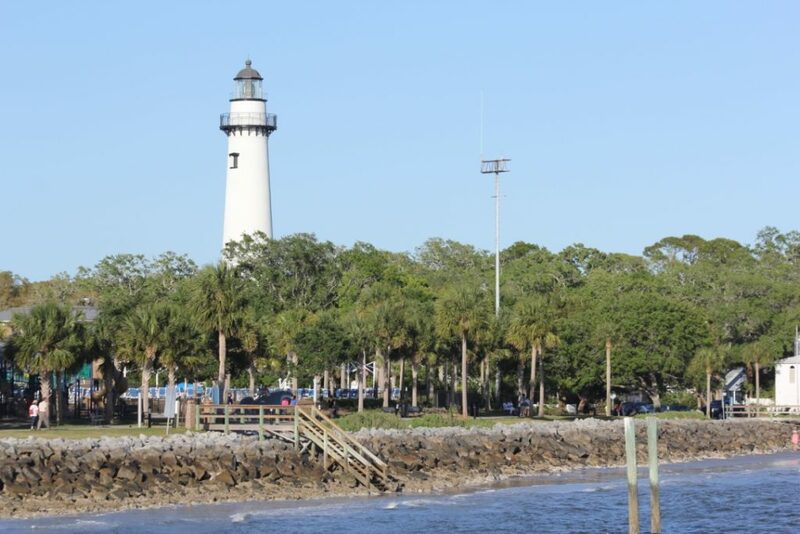 The shifting of sand in this area is a natural phenomenon, but it makes planning a future hard for businesses and home owners. A little over two miles west of where we stayed, the sand is eroding, and quickly. At high tide near the iconic lighthouse there is no beach at all, and although this has been the case for years, the erosion has been increasing. Yesterday we were newlyweds and planted a sapling. Today the tree is tall and we have become an old married couple. Our babies have been married for many years and have babies of their own. The silver lining is that although these subtle shifts of time moving onward can drastically change the landscape of our lives, we know there is beauty in every stage, just as children playing on the beach or the waves crashing on the rocks are both beautiful in different ways. Life is shifting sands, weighty effort to enjoy a few hours on the beach with loved ones, and acceptance that time changes the landscape for all of us. What place have you visited that brought peace, insight, or refreshment? 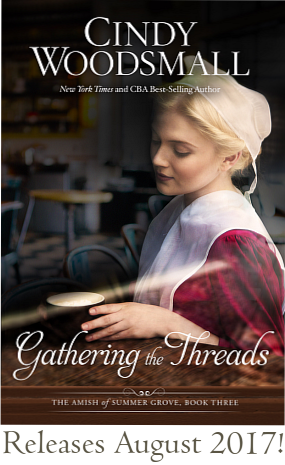 For this month’s post, I am giving away a copy of my August release, Gathering the Threads, as well as a souvenir magnet of St. Simons Island. The deadline for entering this giveaway is Friday, May 5, at noon Eastern Time. One winner will be chosen using Random.org and will be contacted directly. All of my giveaways are limited to US residents only. Please visit my giveaway rules and FAQ page for a complete explanation of the terms and conditions of this giveaway. If you don’t see your comment appear right away, it probably went to “moderation,” which is a holding place where WordPress keeps some of the comments until I approve them. Be assured, I will approve it as soon as I can.